August is a strange month. Rather like the void between Christmas and New Year, nothing much is happening professionally, as a glance at the Calendar of Events will show. In the northern hemisphere this is school holiday time, a season to be enjoying the sun in the great outdoors, but not this year, which has been one of Britain’s worst summers in living memory (many would say that the best summers are also not that good!). I’m not sure what happens in the southern hemisphere in August, maybe hibernation in the depths of winter? Last weekend Barbara and I stayed in a beautiful hotel just up the coast, to celebrate our 45th anniversary. During that weekend we also heard of the death of Neil Armstrong, and this all brought back memories of the fabulous 60s when everything seemed to be happening, scientifically and culturally. It is hard now to appreciate the immense courage of Armstrong and the other Apollo astronauts during that epic and technologically massive trip to the Moon, in a craft whose onboard computer was less powerful than a modern smart-phone. It’s also hard to appreciate the great influence that the Apollo programme had on scientific advances- just imagine trying to explain to a time-traveller from the 60s our digital cameras, SatNav, satellite TV and the internet. Some will say that the vast amounts of money spent on the Apollo programme could have been better utilised elsewhere, in the fight against poverty etc, an argument that is also made against the modern day equivalent of Apollo, CERN’s quest for the Higgs Boson. All of these advances depend on another branch of science, which was also controversially in its early days, around a century ago. Quantum physics deals with the strange world of atoms, and although it is now totally accepted, and our modern world is dependent on it, the main player in this science, the atom itself, is completely beyond human imagination. How do you try to explain to a non-scientist how small an atom actually is? No-one has ever seen an atom directly, although modern technology has been able to visualise it by means of measurements converted to computer images. When I briefly taught material science in my academic career, I would ask students to imagine a sugar lump at the dawn of time, at the instant of the Big-Bang. If the sugar lump was very accurately weighed, and then one atom removed each second, how much of the lump would be left now, roughly 14 billion years later? The answer- there would be no noticeable change in weight, it would take something like 14 thousand trillion years for the sugar lump to disappear! Atoms are staggeringly tiny! I now realise this explanation is not satisfactory, as there are other concepts that we scientists talk blithely about that are also beyond imagination, and one of these is geological time. A thousand years is an awful long time. King Ethelred the Unready ruled England and the Norman conquest was still over 50 years away. So try to imagine a thousand times that length of time, a million years, a mere blink in geological time. The rocks that I walk on each day on the Cornish coastal path were laid down over 400 million years ago, so although this vast temporal abyss is beyond the human mind, it is easy to understand how the slow creep of evolution has occurred, the inexorable movement of tectonic plates to create new oceans and continents, and the carving out of massive gorges and canyons in sediments that have accumulated and solidified over these vast periods. And there are other unimaginables- Apollo 11’s journey from Earth to Moon was around 240,000 miles- less than 2 light seconds, so try if you can to imagine a light year! Anyway, enough of my ramblings. September starts tomorrow and hopefully the spark of life will ignite again- and the IMPC in India is only three weeks away! 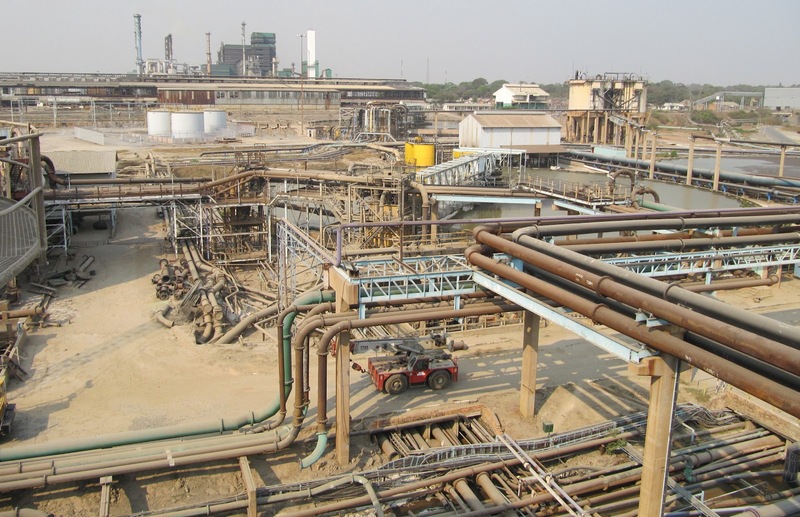 The XXVI International Mineral Processing Congress starts four weeks today in New Delhi. The IMPCs are the great meeting places for mineral processors, and a high turn out is expected. MEI will be represented by Amanda, Jon and me and it will be great to catch up with as many of you as possible, either at the MEI booth, or at the social events. Barbara and I are spending this Bank Holiday weekend celebrating our 45th wedding aniversary at Talland Bay, between Looe and Polperro on Cornwall's south-east coast. 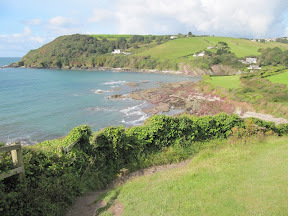 Today we walked the three and a half mile coast path stretch to Looe, the shark fishing capital of Cornwall. 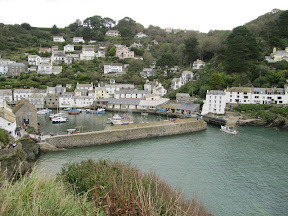 From Looe we took a taxi to Polperro and then walked the one and a half miles back to Talland Bay. Although this stretch of the coastal path is not one of Cornwall's finest, I would recommend a visit to the small picture-postcard village of Polperro, to wander along the narrow streets of this archetypal Cornish fishing village. The Cornwall Mining Sundowner has become a regular monthly meeting of mining people, living in Cornwall or just visiting. Falmouth’s Chain Locker pub is the venue for the meetings, organised by Nick Slade, of Noetic Mining Solutions, who has just introduced a Cornwall Mining Sundowner group to LinkedIn. It always offers up a few surprises, as we never know how many people, or who, will be there, although there is a growing nucleus of stalwarts. Last night it was good to see MEI’s Biohydromet ’14 consultant Dr. Chris Bryan, who has just taken up his new post as lecturer in sustainable mining and minerals resourcing at the Camborne School of Mines (CSM), just four miles away. Chris is a microbiologist, his primary research focus being on the application of biohydrometallurgy to the recovery of metals from sulfide ores and the genesis of acid mine drainage. He has gained invaluable experience working with various research groups around the world including postdoctoral positions at BRGM, France with Dr. Patrick d’Hugues, another MEI Biohydromet consultant, as part of the BioMinE project. It was in France that he met his girlfriend Charlene, who joined Chris, me, Barbara and CSM’s Klaas van der Wielen for a post-sundowner curry at the nearby Balti Curry House. Charlene and Chris are obviously pleased to have moved to this lovely corner of the world, even though they have spent time in various other beautiful locations. 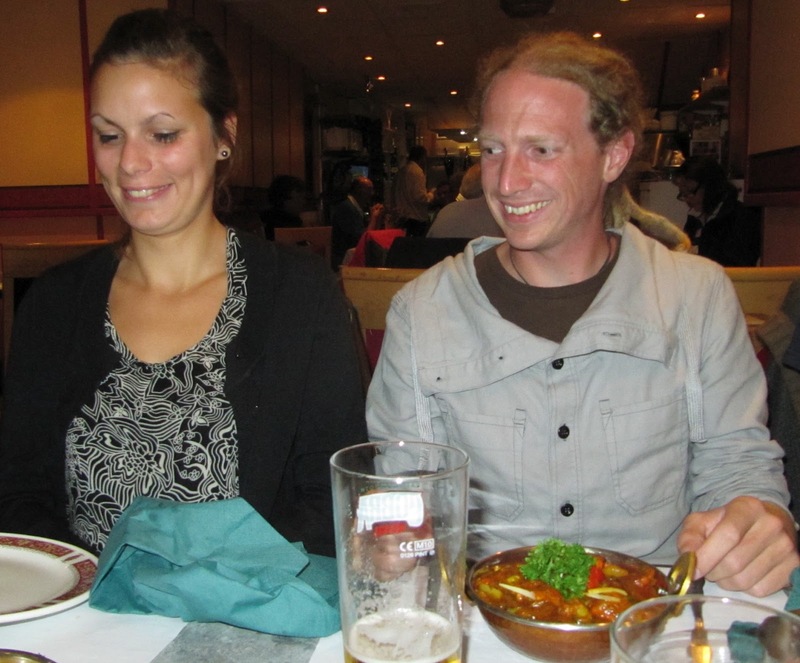 After leaving France, Chris worked with the 3rd MEI Biohydromet consultant, Prof. Sue Harrison, at the University of Cape Town, and then he was a lecturer at the Curtin University in Perth, Australia. Welcome to Cornwall Chris and Charlene- I have a feeling you may stay here for a while!! 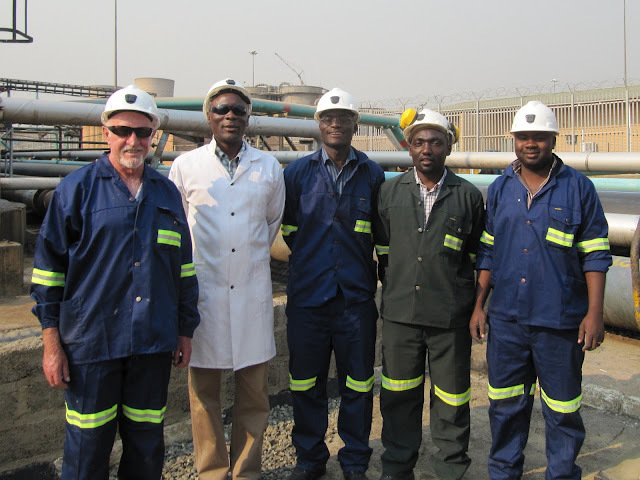 In my recent report on Zambia's Nchanga mine, I drew attention to the sulphides which were floating as a froth in the Tailings Leach Plant (TLP) leach pachucas (right). Ian Pendry asked "How much copper is lost to this froth, what is its mineralogy, and why are the sulphides floating apparently readily here rather than in the conventional flotation circuit which precedes the TLP". During my pre-visit briefing two weeks ago today, I was surprised to hear it mentioned that copper loss to final tailings is around 25%, the main loss being due to chalcocite. I do not know how much of this chalcocite is in the froth on the top of the air-agitated pachucas, or how much of the tailings loss is in this froth, but the fact that there is such an apparently rich froth is interesting. The sulphide flotation plant is operated at neutral pH, but the pH in the pachucas is around 1.5. As xanthates decompose in acid media, is collectorless flotation taking place? Can anyone offer any possible explanations; does anyone have any experience of collectorless flotation of chalcocite and other copper sulphides at very low pH? Having asked this question, I have a feeling that what is seen in the pachucas is likely to be only a very minor build-up of froth, and probably accounts for very small overall losses. It may be that the froth is merely entrained from the sulphide flotation circuit, and it is difficult to remove this from the bottom-pumped pachucas. So a more relevant question might be- can anyone suggest how Nchanga might recover the high losses of chalcocite in the final tailings? Is chalcocite generally a poorly-floating mineral, and is anyone currently involved with research on its flotation? One of the two keynote lectures at Process Mineralogy ’12 in November will be given by Prof. Jan Miller of the University of Utah. He will show how X-ray micro- and nano-CT provide for quantitative mineral exposure/liberation analysis of multiphase particle populations in 3D. In the case of micro-CT, analysis of more than 30,000 particles, 100 microns in size, can now be accomplished non-destructively in less than 5 hours at 2 micron voxel resolution with little sample preparation. In a recent review article in Volume 35 of Minerals Engineering, Prof. Miller and co-workers at Utah highlight the recent advances that have been made in the application of X-ray CT in the analysis of heap leaching systems. Heap leaching technology is moving forward rapidly as it satisfies most techno-economic considerations and provides several benefits such as low cost, cleaner environment and product, flexibility, and diversified process conditions. In view of the important role of comminution and agglomeration in heap leaching systems, both of which have to do with particle size distribution (PSD), improved characterization methods have become of significance in the design and operation of heap leaching systems. X-ray CT characterization has introduced a new prediction tool for 3D analysis of multiphase particles and packed particle beds, an analytical capability not realized until recently. For example, establishing a correlation between mineral leaching against time from column leaching results and the information obtained from X-ray CT images is now possible. The paper presents some potential capabilities of the technique to illustrate the improvement in traditional metallurgical test work. The authors conclude that X-ray CT as an analytical technique can improve our understanding of heap leaching operations and make heap leach technology even more adaptable to ever-increasing complex ores in the foreseeable future. During my visit to Chingola last week, I spent a whole day as a guest of the Konkola Copper Mines (KCM) management at Nchanga, the Copperbelt's largest mine, and Chingola's raison d'être. There was a great feeling of nostalgia as I drove down Wattle Avenue to mine security, and then on to meet the concentrator manager, Barry Kalumba. I first set foot here in October 1969, my first job since leaving University, and as I then nervously found my way to the metallurgical offices, I tried to comprehend the sheer scale of the mine complex, the size of a small town. It is now more like a small city. Since I left in 1973 an 'environmentally friendly' smelter (is there such a thing?) has been built, as well as a vast tailings leach plant, together with major concentrator expansions. Although I did not appreciate it at the time, Nchanga was, in the late 1960s, one of the great copper mines of the world. The Copperbelt Province of Zambia and the neighbouring Katanga province in the Democratic Republic of the Congo host a massive orebody, formed over 500 million years ago by the collision of tectonic plates. 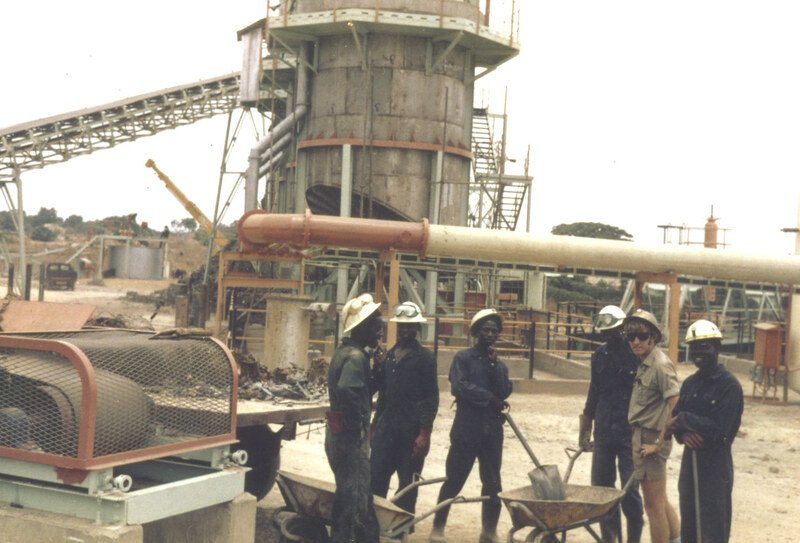 In 1969 Nchanga produced copper from an ore containing about 3% copper by weight (it is now less than 2%). This was high grade in world terms, ore grades in the USA averaging about 0.6% copper, and about 1.2% in the giant mines of South America. The mine produced only copper (it now also produces cobalt), which is unusual for a copper mine, which would commonly produce by-products such as lead, zinc, molybdenum and gold. Nchanga was therefore subject to the vagaries of the international copper price, which was high in 1969, but in 1973, the year that I left, the mine suffered due to a crash in the copper price. 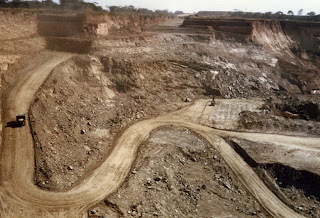 Ore has been mined from underground since 1938, but in 1955 open-pit mining commenced, and the giant Nchanga open-pit and the smaller Chingola and Mimbula-Fitula pits contributed to a total tonnage of about 30,000 tonnes per day treated at the massive operation. Underground ore contains mainly suphide minerals, chalcocite, chalcopyrite, covellite, bornite, while the shallower open-pit ore contains oxidised minerals, mainly malachite and azurite, as well as cuprite and chrysocolla. ﻿ Comminution of the oxidised open pit ore is undertaken close to the pit at the East Mill, in rod and ball mills, the slurry then being pumped to join the underground ore, which is crushed at the West Mill and ground by 12 closed circuit ball mills. 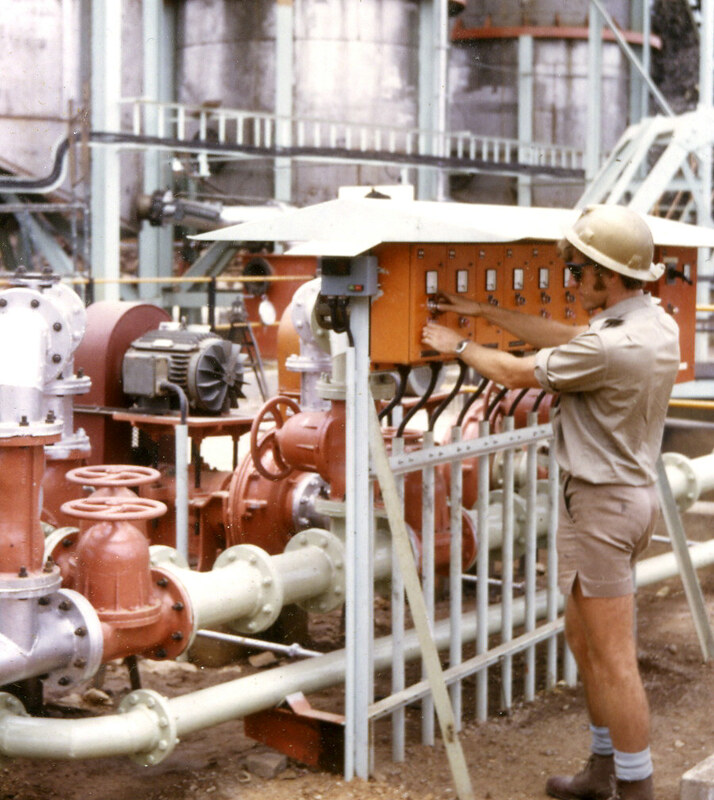 Little has changed since 1969 in the grinding circuits, except that the two mechanical classifiers in the ball mill circuit have been replaced by cyclones, but current commissioning of a 7m diam SAG mill - 5m diam ball mill-cyclones circuit will mean that the ancient parallel ball mill circuit will soon disappear. Much has changed in the flotation plant too. In my day the ground ore from underground and the open pits was first fed to sulphide flotation, the concentrate then being thickened, filtered in rotary drum filters and thermally dried before being transported 45 km to the Nkana smelter at Kitwe. 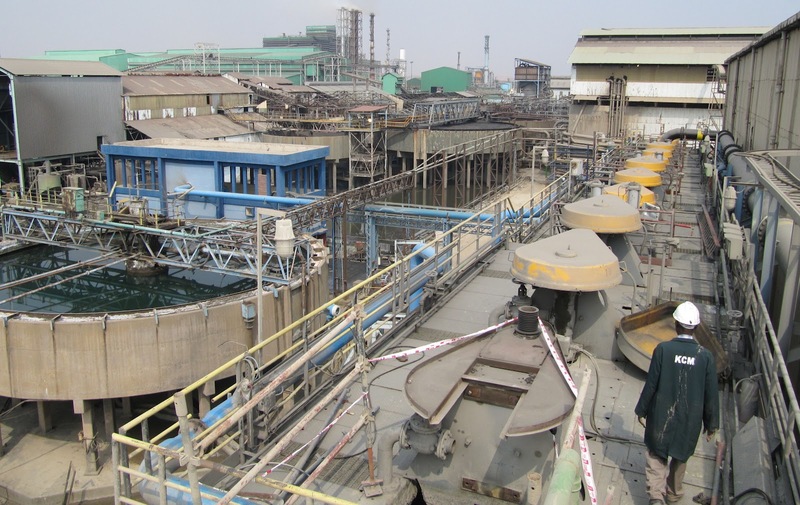 Now Nchanga has its own Outotec Flash Smelter, producing around 12,000 tonnes of anode copper per month, and the drum filters and dryer have been replaced by a single large Larox Pressure Filter. Much of the old flotation plant now lies derelict, the small flotation cells being replaced by very large machines, with final cleaning in columns. In the past, sulphide tailings were sulphidised before floating the oxidised minerals, which were then pumped to the high grade leach-electrowinng plant. The 'oxide' flotation plant no longer exists, neither does the high grade leach-electrowinning plant, this site now being occupied by the smelter. Oxidised copper flotation was always inefficient, as in the suite of copper-containing minerals mined at Nchanga are minerals which respond poorly to the froth flotation process, notably cuprite, chrysocolla and, to a lesser extent, malachite and azurite. 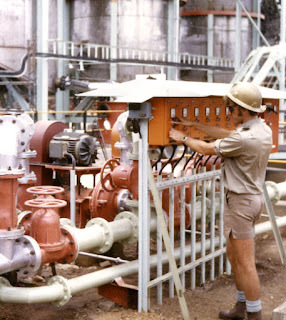 In the late 1960s solvent extraction had been successfully introduced to copper processing in the USA, and a decision was made to develop and build a huge tailings treatment plant at Nchanga, to not only recover copper from existing tailings, but also from past tailings stored in the dams, and in 1974 this, then the world's largest solvent extraction plant, came on-stream. The huge plant was built in two stages. In stage 1, thickeners and neutralisation vessels were erected, together with the leaching pachucas, in which the tailings minerals would be intensively agitated in a dilute solution of sulphuric acid, to produce a weak copper sulphate solution. This would be upgraded in Stage 2 by the solvent extraction process, before precipitating the copper by electrolysis. During construction of Stage 2, I was on the commissioning team which put into operation Stage 1, to treat a large stockpile of low grade oxide concentrate, which had hitherto been found difficult to economically treat. The copper in this stage was precipitated from solution by cementation onto scrap iron in temporary Kennecott Cone units. I left before the Tailings Leach Plant (TLP) came into operation, but was amazed last week to see the scale of this elegant process, which now treats up to 50,000 tonnes per day of current and old tailings in the leach-SX plant, 4500 tonnes per month of final copper being produced in a giant electrowinning tankhouse. So efficient is the TLP that the major losses to final tailings are now due to suphide minerals, particularly the poorly floating chalcocite. This is evidenced by the black froth floating in the air-agitated leach pachucas, and a pilot plant has been built to find ways of succesfully floating these residual sulphides. ﻿﻿I thank Barry Kalumba and the management team at KCM Ltd for spending so much time with me on what was a truly memorable visit. I was also very impressed by the motivation, enthusiasm and knowledge of the Nchanga metallurgists, all from Zambian Universities, who showed me around the plants. Barbara and I arrived in Chingola this afternoon after a very hard 7 hour drive from Lusaka International Airport. 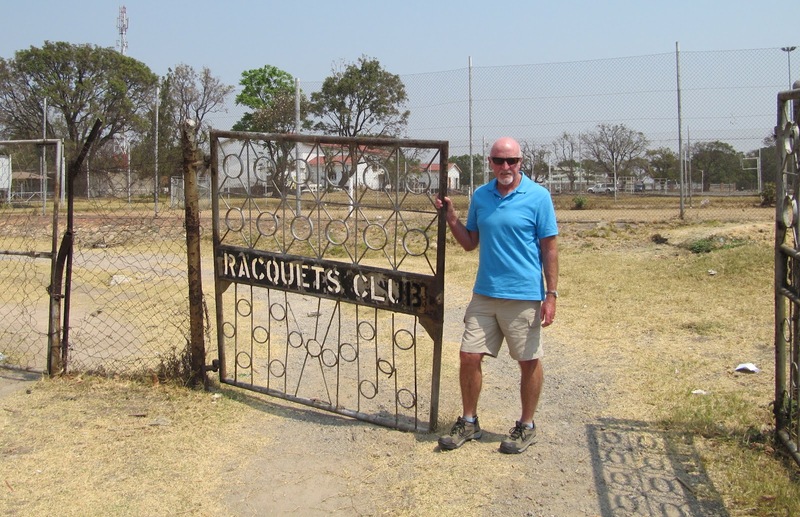 This is the first time we have been back to this pleasant Zambian Copperbelt town since we returned to the UK in August 1973. We spent four of the best years of our life here and have very fond memories of the town and its people. Our daughter, Amanda, was born here just over 40 years ago. 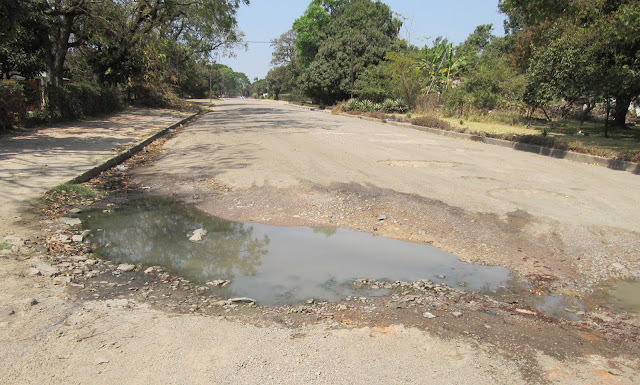 Chingola is home to Zambia's largest mine, Nchanga, one of the great copper mines of the world. On Tuesday I will be spending a day on the mine, where I made my debut as a minerals engineer in 1969, initially on the concentrator, then the tailings leach plant and high grade leach plant, as well as serving for 2 years in the Nchanga Fire Service. Back in those days there were no hotels or tourists in the town, but now we are staying for 6 nights at the Protea Hotel. 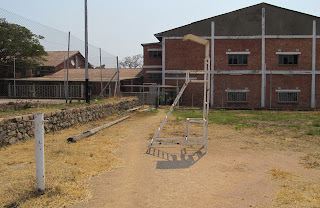 This is a purely nostalgic visit and when I return I will be sharing my memories and photos with all of you who have been lucky enough to have lived in or visited this special African town. Barbara and I fly to Lusaka tonight for our week of nostalgia on the Zambian Copperbelt town of Chingola. Our only regret is that we will be missing out on the Olympics, which has enthralled us over the past week, as it has millions of people across the world. 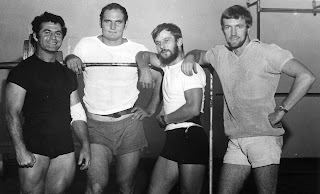 A few nights ago I was watching the weightlifting and it brought back memories of one of my closest friends during my time in Zambia. 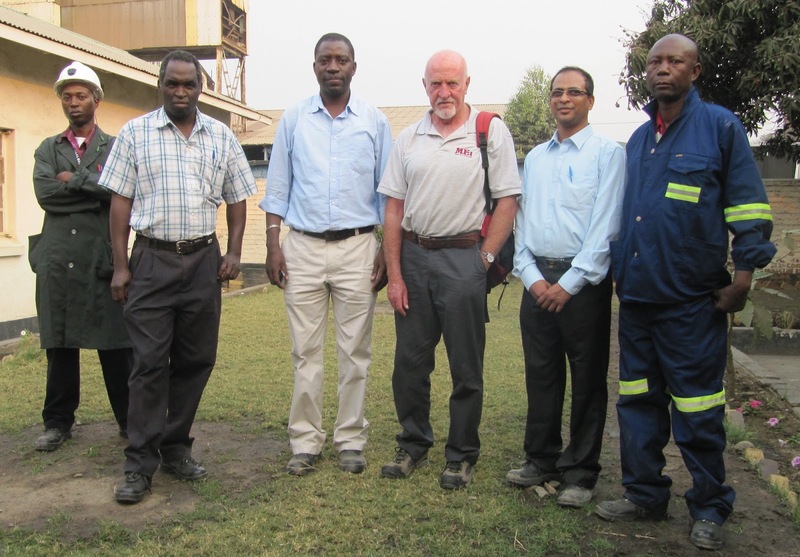 Peter Fiore, who will be well known to most people who lived in Chingola in the early 70s, was an instrumentation technician on the mine and we got to know each other during his regular visits to check flowmeters, density gauges and other essential instruments on the concentrator. He was also the Zambian light-heavyweight power-lifting champion. Only 1.63m tall, he was built like an ox and was immensely strong. 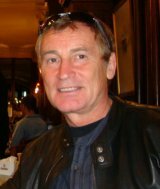 In 1978 he became world powerlifting champion in the middleweight class, and he now lives in the UK and is President of the Commonwealth Powerlifting Federation. In 1972 I was blossoming as a squash player, and Peter took me under his wing and essentially became my personal trainer. The regime he set for me was intensive weight-training in one hour sessions three times per week, but the results were outstanding, not only helping my squash considerably, but also improving my performance at other sports, including competitive powerlifting. 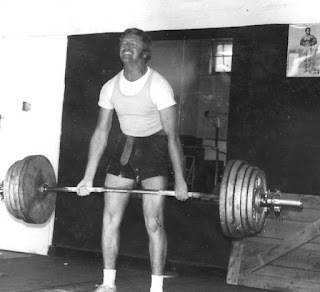 My best lift was the deadlift, and as a middleweight my personal best in competition was 202 kg, which was put into context while watching the Olympic weightlifters, some of whom, in the same weight class were lifting well over 180 kg in the clean and jerk. For the uninitiated the deadlift requires the lifter only to stand straight with the weight, whereas in the clean and jerk the weight has to be ‘cleaned’ to chest level, before being ‘jerked’ overhead. I have incredible admiration for Olympic weightlifters; the moves are much more skilful than in powerlifting, and it also takes tremendous courage to dip under a moving bar before standing upright. Yes, I will miss the skills and strength on display over the next week, which are truly amazing- have any of you tried to just walk along a gymnasium beam? If you have you will appreciate the skills and courage of the tiny girls who perform backward somersaults on this daunting apparatus! “Biomining”, as traditionally practised, uses aerobic, acidophilic microorganisms to accelerate the oxidative dissolution of sulfide minerals present in ores and concentrates, thereby either causing target metals to be solubilised (e.g. copper) or made accessible to chemical extraction (e.g. gold). Many acidophiles are also able to catalyze the dissimilatory reduction of ferric iron in anoxic or oxygen-depleted environments, and can accelerate the reductive dissolution of ferric iron minerals, such as goethite, under such conditions. Recent work has demonstrated how this approach can be used to extract metals from oxidized ores, such as laterites and manganese nodules, at low (ca. 30˚C) temperatures. Reductive mineral dissolution has been trialled successfully with a variety of ores, pointing to a generic application of this approach, and this will be the theme of a keynote lecture at Biohydromet ’14 in Falmouth, to be presented by Barrie Johnson, Professor of Environmental Biotechnology at Bangor University, UK. 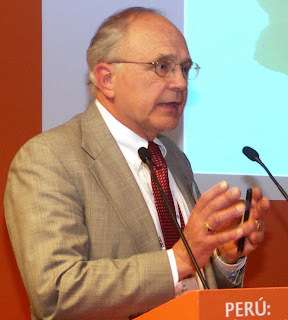 Barrie is a Fellow of the Learned Society of Wales, Industrial Research Fellow of the Royal Society and head of the Bangor Acidophile Research team. Following the success of the recent Biohydromet '12, we expect this to be just one of many state-of-the art presentations in Falmouth in 2014.